Meaning invincible (translated from the Greek work “adamas”), the diamond is one of the hardest substances on earth. The “healing powers” attributed to diamonds include balance, clarity and energy. Daisies symbolize innocence, purity and love that conquers all. April’s gemstone is the diamond. Diamonds date back to at least 3,000 years ago in India. The ancient Hindus viewed the strength of the diamond equal to the power in the sparks of lightening, due to the diamond’s ability to throw off light with its invincible strength. For them, the diamond was used as a talisman to provide protection during battle and ward off evil spirits. The spring season is into full-swing. In many parts of the country, it is a season of much rain, hydrating and lifting life from the earth after a winter’s sleep. If anyone has stared, into a beautiful diamond, it is like that of watching a spring rainstorm, mesmerizing. For many who live in the mountains, the diamond is representative of the water filling and rushing down the streams from the melting snow, bringing life and sustenance to life to all plants and animals downstream. It is strength, and by giving renewed life, it is power. 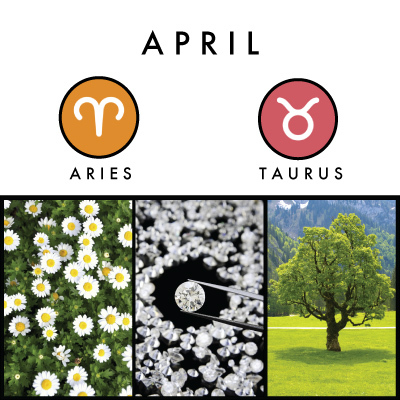 Of the many stones representative of each season on the Gregorian calendar, the diamond could not be more suited for the month of April. People for centuries have been fascinated by the diamond. The word “diamond” originates from the Greek word “adamas”, to have the meaning of something which is unconquerable. It was not until the Middle Ages that the diamond was seen as something of monetary value. Mine owners spread rumors that they were poisonous in order to prevent their workers from swallowing them, so they would not be smuggled from the mine. It was not a common practice to even polish a diamond until the 16th century. Until then, doing so was taboo. With more modern technology and tools, the polishing and cutting of the diamond was perfected. It is India that holds the title of being the most foremost diamond polishing industry worldwide. The Koh-I-Noor and the Blue Hope were both unearthed in India, though they are also mined from Borneo, Brazil, Australia and the Orange River in South Africa. Diamonds have a long history on the earth and were created from the condensation of solid matter, more specifically, carbon. It was compressed into a sphere caused by the power from the core of our planet, then the sphere was subjected to extreme pressures and temperatures. With this pressure and temperature, the carbon began to crystallize. As the planet began to develop more, the surface of the earth began to cool and volcanic activity forced these diamond crystals to the surface. The diamond is known as the hardest substance found on the Earth, synthetically or naturally produced. Traditionally, the diamond is known to be clear and colorless, however, there are a range of colors: yellow, orange, blue, green, pink, purple, red, black, and brown. The range of colors identify that there are impurities in the stone. For a diamond to be yellow, nitrogen will be present within, blue meaning boron. To gift a diamond will symbolize everlasting love. It has been worn to enhance relationships and give inner strength. As the stone itself possess natural inner strength, it has the properties to aid in the healing of brain diseases and illnesses of the pituitary glands. The daisy, referred to as “God’s smile”, and the Anglo Saxons called it the “Day’s Eye”, as it would open and close with the rays of the sun. It is associated with the goddess, Venus and are gifted to represent one’s affection. 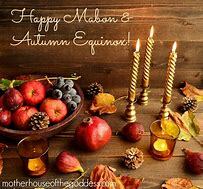 Posted on May 16, 2015 May 17, 2015 by Lady BeltanePosted in Birth Month Symbols, Flowers & PlantsTagged April Birth Symbols, April Birthstone, Daisy, Diamond, Macgick, Magic, Pagan, Sweet Pea, Wicca, Witch, Witchcraft.